Angel investing is the process of an affluent individual investing privately in a small business or start-up to allow them to get cash that they need for their venture. Angel investors most often focus on supporting the entrepreneur behind the business plan as they attempt to build their business, rather than the possible profit they may earn. There is a much greater risk involved in angel investing than venture capitalism or other forms of investment. However, there are many benefits as well. If you are considering becoming an angel investor, keep reading below to learn about the many advantages that come along with this type of private investment. Unlike stocks and bonds, investing in a small business or start up provides you with greater control over the outcome. Rather than relying on the market, angel investing relies on your judgement. You can choose to invest in companies and people that you truly believe will succeed and, more often than not, they will take your advice regarding certain business tactics that could help them flourish. When you get the chance to invest in an entrepreneur’s plans to start a clothing company that you actually want to wear yourself, you will definitely appreciate the opportunity. Finding a worthwhile business investment takes a long time. 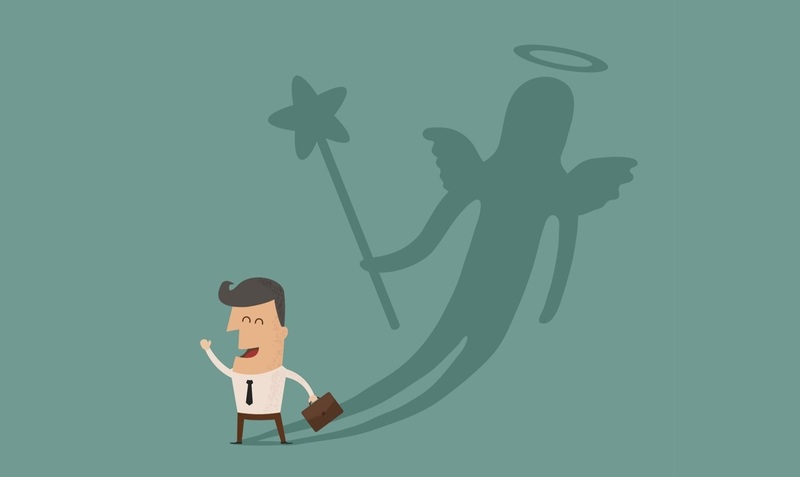 Some may see this as a deterrent for becoming an angel investor. However, it is actually quite a considerable benefit. The relatively slow nature of the process lends itself to ensuring that you only make the best decisions for your bottom line. Having plenty of time to learn all you can about the company and hammer out the details of your investment agreement is a great advantage. You have plenty of time to back out if a deal does not feel right. This will definitely save you money in the long run, which is never a bad thing. Although many angel investors hope to turn a profit, many also do it for the purpose of supporting a person, cause or business they care about, instead of starting a business consulting firm. Angel investing is the perfect opportunity to help others achieve their lifelong dreams. This helps to encourage entrepreneurship overall and facilitate a new wave of innovation. Many angel investors view this process as a way to share their knowledge and skills with a new generation of entrepreneurs. This allows new businesses to succeed while also providing seasoned, oftentimes retired, professionals with a new way to apply their skills. If you want to share your business sense and keep your skills sharp, angel investing may be the perfect opportunity for you to help out entrepreneurs who do not have access to a VA loan. Another major benefit of angel investing is that it provides participants with the chance to learn new skills. This type of investment provides you with a wealth of opportunities to take on new learning experiences. For example, you will have the chance to become a mentor to entrepreneurs, play a more active part in business deals and even take on a board director role. Flexibility is a clear benefit of angel investing. When you invest in a business you will have the opportunity to decide how involved you would like to be. This is especially true if you decide to have a funding partner. This provides you with the chance to be more active in the company’s decision-making process, or less involved if you are not willing to dedicate the time. As an angel investor, you can structure investment deals to suit your needs. A business angel (BA) investment can take straight equity in the company, royalties or other types of alternative funding. You can structure the investment to meet deadlines, performance incentives and rights to reinvestment. Of course, you can even require certain levels of repayments and interest. However, since very few other angel investors take repayment or interest, you might want to focus on the percent of equity and involvement in the business. Of course, the deal structures of business angel investments are a huge advantage when done carefully. Finally, the last benefit of becoming an angel investor is the potential financial rewards that await those willing to take the risk. If the business you invest in manages to succeed, you will receive a great deal of profits. Thus, your risk assessment needs to provide a careful analysis of every angel investment. As long as you use your best judgement, you may find that angel investing is a lucrative option. Angel investing is an excellent way for successful people to take on new roles in the business industry. If you are looking for an opportunity to become a mentor, support businesses that you care about and possibly even receive a high return on investment, like you would from NFL futures, this may be for you. Consider angel investing the next time you are looking for a way to give back.